During the 2018, the Croatian Air Force crews, part of the Croatian Armed Forces, transported 885 patients whose medical indications required an emergency medical aviation. With them, 109 caretakers were transported too, using official Air Force helicopters. During those transits, 2283 flights went through 855 hours of flight, Ministry of Defence states. Also, in 2018, 23 applications were received for the Croatian Air Force helicopters in search and rescue operations on land, during which a total of 15 injured persons and 132 members of the Croatian Mountain Rescue Service were transported. During these actions, a total of 107 flights were completed. 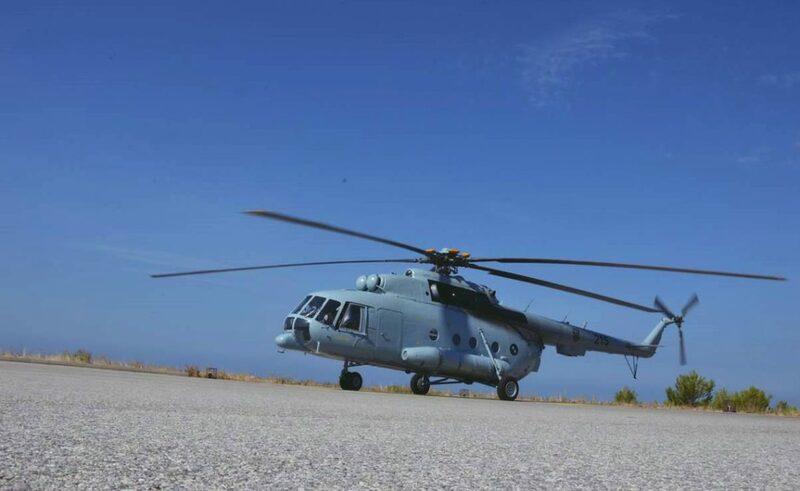 Croatian Air Forces provide support in emergency air transport in constant readiness (day and night) with two helicopters by the helicopter of the 93rd Air Base station stationed in ‘Knez Trpimir Divulje’ barrack and the 91st Air Base helicopter station at the Rijeka Heliport ‘Krk’. In most cases, medical flights are carried out with 24-hour operating conditions (KBC Firule, Hvar, Stari Grad, Sućuraj, Selca, Korčula, Blato, Šolta, Dubrovnik-Medarevo, Rab, Lastovo-Ubli, Vis, Lošinj, Cres and heliport Delta – Rijeka).